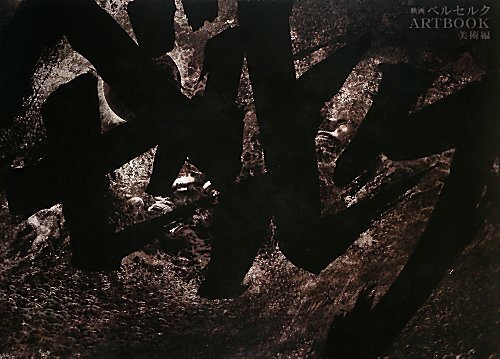 映画ベルセルク ART BOOK 美術編 is the companion artbook for the Berserk: The Golden Arc films that came out in 2012 and 2013, so that includes The Egg of the King, The Battle of Doldrey and Descent. The book's a wide-format 192-page hardcover. There are two bonus illustrated postcards thrown in. The bulk of the book are on the environment art. They are, if you've watched the films, of wide vistas, open fields, mountains, forests, towns, castles and more. These are all in full colour, drawn in a style that's very typical of Japanese environment art for animated film. There are the architectural sketches for buildings, castles and interiors. Those are pencil sketches in full detail. As someone who likes to look at architectural detail, I find the sketches amazing because of the amount of fine work and composition. The overall vibe you get from the artworks is quite solemn. Other miscellaneous artworks are the character illustrations. There are some digital paintings and some are watercolour artworks. As for creature designs, there are a bit more pages, two pages of small drawings and at the back are several pages of detailed drawings in larger sizes. Designs for the soldiers, armour, horses, flags make up the rest of all the artworks. It's a beautiful artbook but I feel it's more suitable for those who've watched the films unless you're into Japanese drawn background art. if so then you should also check out some Kusanagi artbooks.